When you need to put together video, and put it together quick, you need Splitt! 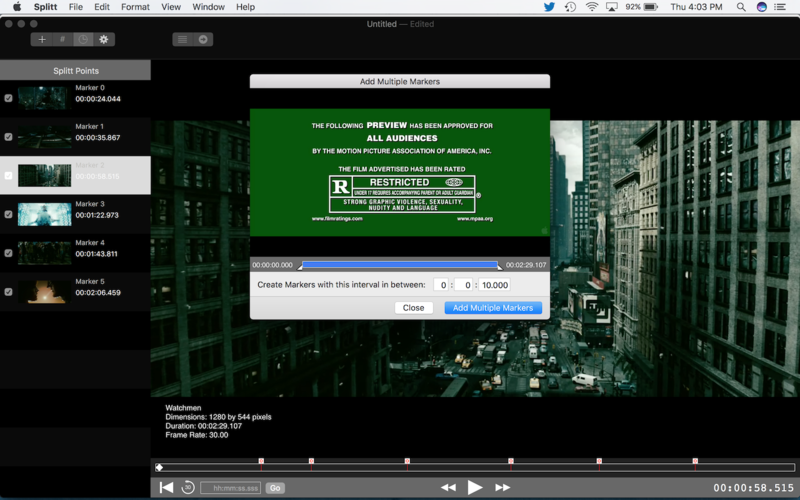 This is the video splicing application for OS X that lets you cut your movies into an arbitrary number of segments. Splitt features easy organization, segment previews and precise navigation mode, which gives you frame-accurate control over the length of each segment. This update features a new segment preview panel, individual segment sharing and greater feedback for preventing errant segment creation. The philosophy behind the creation of Splitt was to build a simple and effective product that could chop a video up into an arbitrary set of clips ... We've stayed true to that philosophy by only adding a small number of essential features that are focussed on making the user more productive. Pricing and Availability: Splitt 1.1.1 is available for $9.99 USD (or equivalent amount in other currencies) and is available worldwide from the Mac App Store in the Video category. For more information, please contact Douglas Welton. Splitt features easy organization, segment previews and precise navigation mode, which gives you frame-accurate control over the length of each segment.